We pride ourselves on providing a bespoke INSET day that meets your needs be it primary, secondary or college. Our distinctiveness and indeed our passion lies in our approach to INSET Days. Whatever your CPD requirements are, MALIT offer a range of engaging, thought provoking and inspiring INSET days. A highly sought after consultant and trainer on motivational learning and innovative, high impact teaching. 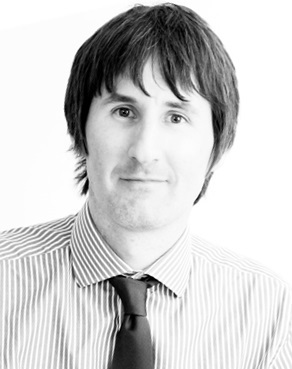 After 12 years in secondary schools, Andy moved into training and consultancy with the mission to enable young people from whichever background to achieve their full potential. Exposure to effects of deprivation on learning led Mark on a mission to create better opportunities for children from all backgrounds to achieve their full potential through education. Mark’s passion is that all children in schools receive the world-class education that we would want for our own children. The feedback from staff has been incredible. You had a significant impact on people which is hard to describe. Someone told me about a Facebook discussion which involved over 30 staff all saying how fantastic the day was. Newly made resources have been ‘found’ in photocopier rooms. Your work was universally very well received. A huge thank you personally and professionally. We had been talking about starting points for learning from assessment and this inset gave us great practical ideas and ways to make this possible, using what the children already know as clear staring points. It was great that staff had time to talk and think about future topics during the sessions, taking away ideas and thoughts ready to use. It complimented the ideas of growth mindset and the pit which we are also embedding with the children. All staff are getting very excited about planning units of work for next term with the children rather than for them. A changed mindset for staff too! ... 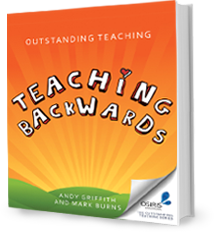 Teaching Backwards will make a difference to school leaders and teachers alike. A must have read. 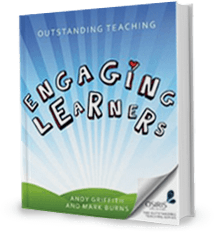 What a treat ... an engaging book emphasising the core qualities of teaching while making it sound fun. If we were in charge of a school, we would not put a speaker in front of our staff without being confident of their quality. Therefore we are more than happy to put you in touch with schools we have worked with before, to assure you of the quality of our training. Indeed, most of our work comes from schools recommending us to others. Please be aware that due to high demand at certain times of the year (i.e. start and end of each term) it is important to book well in advance to avoid disappointment. 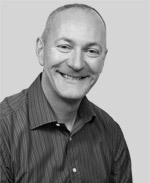 To discuss your requirements for INSET with Mark or Andy, please contact us.